From the 10th October 2015, a new ETS Gemas high-speed Electric Train Services began operating between Gemas and Butterworth in Penang and Gemas and Padang Besar in Perlis, both travelling via KL Sentral Station in Kuala Lumpur. The new dual track has now been completed between Kuala Lumpur and Gemas in the state of Negeri Sembilan, with the new high-speed trains now in full operation. The final section on the North - South Line in Malaysia, between Gemas and JB Sentral in Johor Bahru will be the last section to be built and is now being operated by Shuttle Trains as all long distance Intercity Trains on the N-S Line are now all cancelled. There are now a number of ETS Train services a day leaving from Gemas Railway Station, heading north and also a number of arrivals a day. Like all train tickets in Peninsular Malaysia, you will need to book your ETS tickets in advance, as trains often operate full. You could take a chance and buy your tickets on the day of departure from the station, but you may well not be able to get a seat to your required destination - so book in advance. 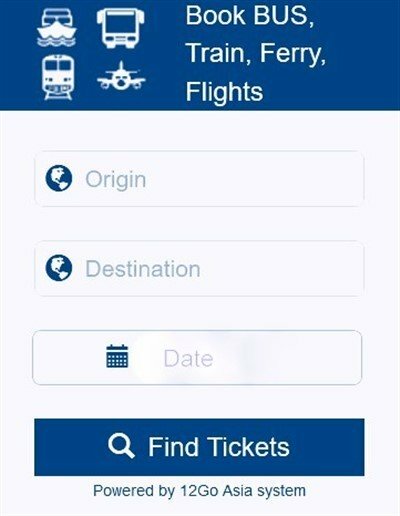 You can book your tickets direct from any mainline KTMB train station, or to save you the trouble of visiting the station, you can purchase an e-ticket online. Online ETS train booking can be made either directly through the KTM website, or you have the option to book through an online train ticket agent.